Tettnang hops was recognized by the EU commission in 2010 as a protected geographical indication (PGI). 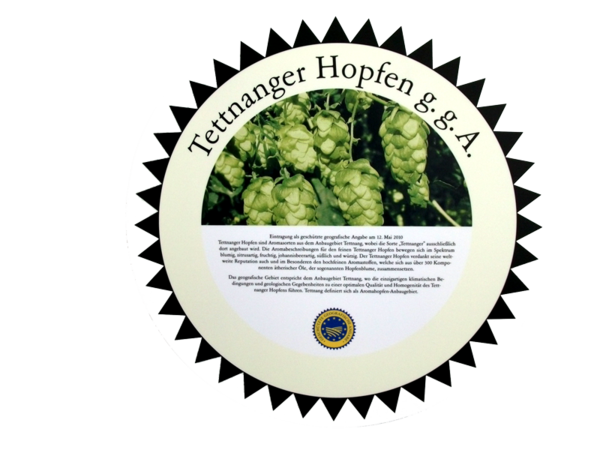 In 2003 the Association made an application to secure Tettnang hops as a protected geographical indicator (PGI) across Europe. After seven years of testing by the German Patent and Trademark Office, the German Federal Ministry of Justice and the EU Commission granted brand protection to Tettnang hops in 2010. Acceptance into the Baden-Württemberg “Genießergalerie”, or connoisseur gallery, quickly followed. 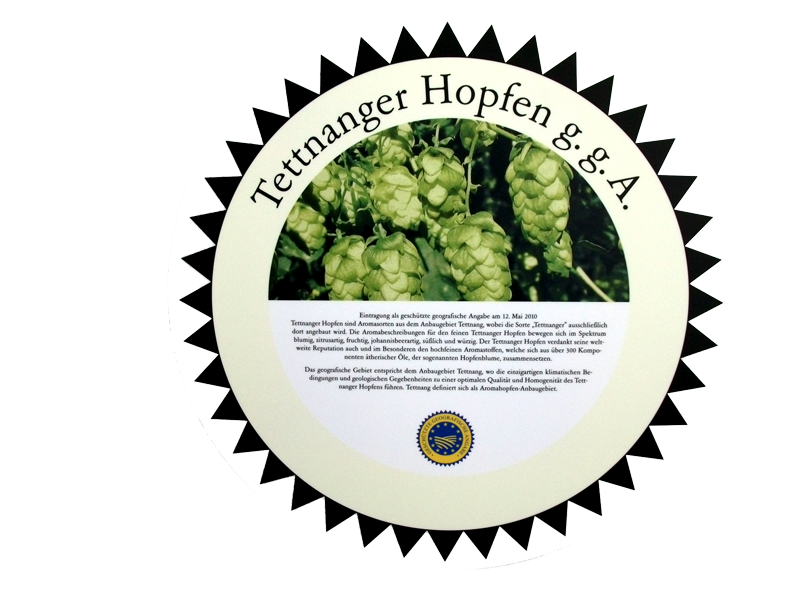 This made Tettnang hops one of the first products in Germany ever to be granted protected rights on the basis of its long tradition and special characteristics (climate, cultivation, production, constituents, aroma, etc.). The benefits include the right to use the label for advertising as well as a financial boost for sales. You’ll find further information on the website Taste the South. Since Tettnang hops are considered a premium product in the brewing industry and consequently command a higher price, the Tettnang Hop Grower’s Association offers brewers the opportunity to show the Tettnang hop on the beer label in the form of a licensing agreement. Numerous breweries both nationally and internationally have now taken up this opportunity, advertising that the beers concerned have been brewed using higher quality hop products. This has created a win-win situation for hop growers/traders and the brewing industry: increased customer loyalty to the Tettnang growing region on one hand and, on the other, increased publicity about the use of higher quality and higher priced ingredients in the beers concerned.